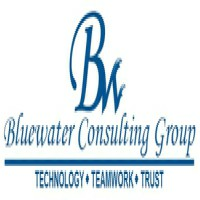 Bluewater Consulting Group is a leading IT service provider for banks and small businesses in Philadelphia Area. We can either serve as a complete IT division for banks/businesses or function as their extension. We help develop cost effective information security systems for the financial institutions. We help our clients pass the qualifying tests, by providing exceptional support in key areas like Perimeter testing, Vulnerability Assessments, and IT Audits. Our approaches are unique and tailored to the needs of our clients. We build extremely well performing IT infrastructures that are robust to attacks. We provide cost efficient collocation solutions, saving the time and money of our clients.